Beauty Under 10 | Beauty should only take 10 minutes Go Natural for Earth Day! Go Natural for Earth Day! Products you wouldn’t even think twice about like face wash and body wash are contaminating our lakes and oceans. All of these products may possibly contain micro-beads which are used for exfoliating and are made from petrochemical plastics. These small beads can pass through treatments plants into rivers and canals making their way into the natural environment. Last year, laws were passed in the USA and Canada banning the use of micro-beads in all products starting this year. In honor of Earth Day on April 22nd use 100% natural made products to ensure you’re doing your part to keep the environment clean. BVspa’s products are all environment-friendly so you don’t have to feel guilty when using them! Scrub away dead skin cells and get glowing results with BVspaSalt Scrub - 100% natural and made with Dead Sea Salt, which is a natural purifier that removes the toxins, helping to clear pores which promotes circulation, while tightening the skin to improve skin texture and reduce the appearance of aging. Finally, conquer dry skin with BVspa’s Body Lotion! Containing Squalane, Jojoba oil and sunflower oil, this body lotion helps prevent free radical damage that causes the breakdown of collagen and elastin in the skin to reduce the appearance of fine lines and wrinkles. 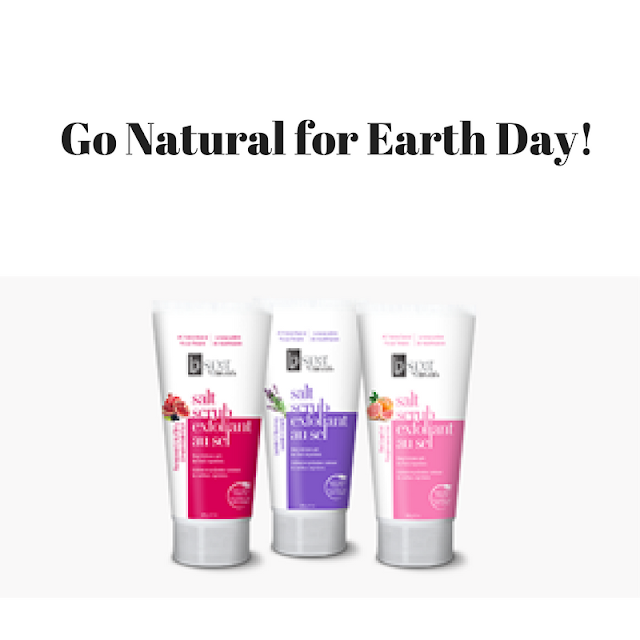 Let’s all Go Natural for Earth Day!